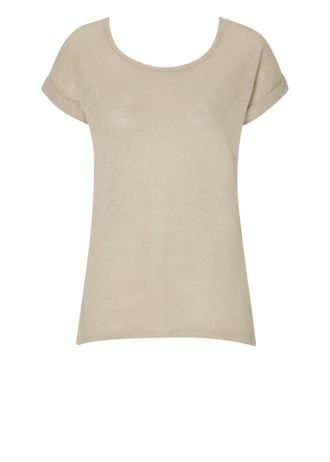 I do really like the top - these linen style tops were in Zara last season. They're lovely and light and not too clingy. So the top's a keeper. 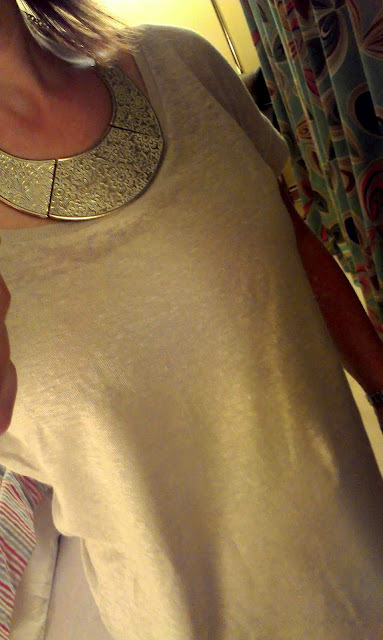 My necklace is my own - good old Primark - love it lots! 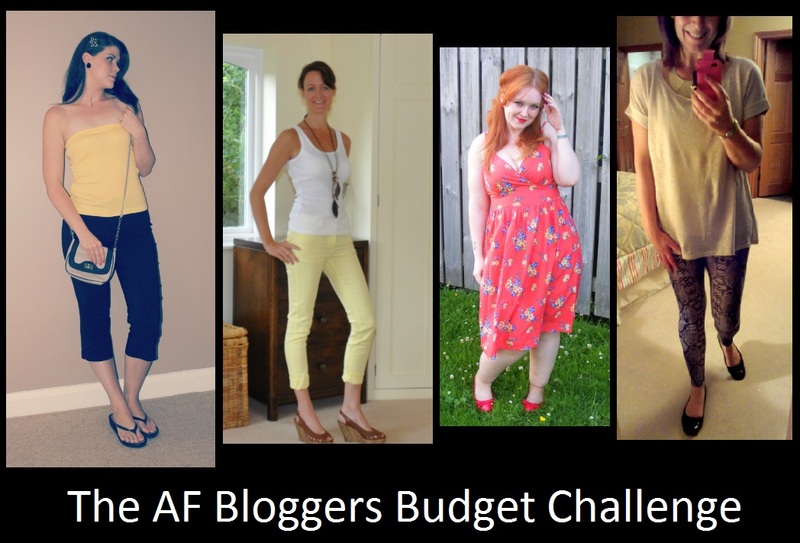 But I'm afraid after asking the girls over at Avenue 57 and Mr SGS, the leggings are not for me. As a concept, I could do leggings again. They were super comfy and look lovely with the pumps but I'm afraid as soon as Mr SGS said my legs looked like two scary pythons, they were back in the bag with the receipt. I love that tshirt .. I might have to sneak into my local store again and buy it! 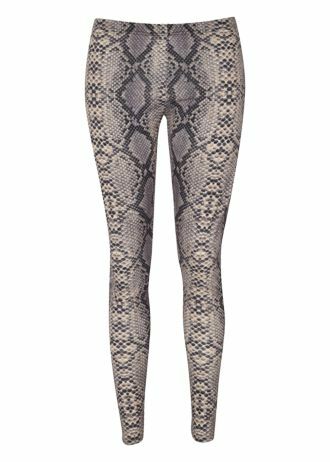 The leggings aren't *that* bad on you but when you dress so well at all other times it's a bad choice in comparison. It's interesting you say about the staff because at my local store the staff are amazing - friendly and very helpful without being intrusive - and this was from both young and old staff - I'm a stickler for good customer service and Matalan seem to have their staff VERY well trained. Leggings are great, you can dress them up or dress them down. Not so sure about the snake skin pattern though! I love leggings! I wear them alot. 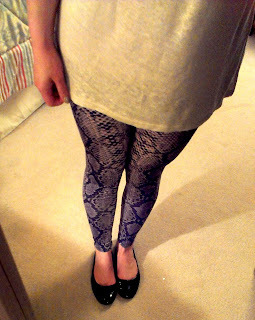 you def have the legs for them, but maybe not snakeskin - but just saying that cos I dont like snakeskin. yours is defiantly my favourite look!you could also dress it up with heels! Kudos! 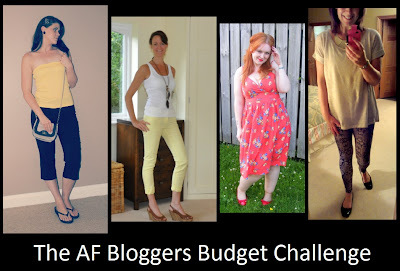 Yes Avril well done to Sera for organizing the challenge... it is a fabulous idea! I think my hubby is related to yours, that is definitely the same reaction I would have got:) Have a brilliant weekend!